So, the name fry bread doesn't exactly sell it too highly, and at first glance, you might think it's just a deliciously prepared form of fried dough. But it is so, SO much more than that. It tastes like an unsweetened funnel cake, but fluffier, thicker, and filled with pillowy air bubbles, and often gets loaded with delicious toppings both savory (taco fillings, beef, beans, etc.) and sweet (honey, powdered sugar, etc). It was originally invented some 150 years ago by the Navajo, who took an extremely tough situation (the 300 mile "long walk" to New Mexico, where they started using new ingredients like white flour and lard), and made some seriously good metaphorical lemonade. If you’re looking for the fanciest option when it comes to fry bread this is your spot. The Native American fusion restaurant is the ONLY AAA Five-Diamond and Forbes Five-Star restaurant in the state, and they make a sleek fry bread dessert with corn custard brûlée. 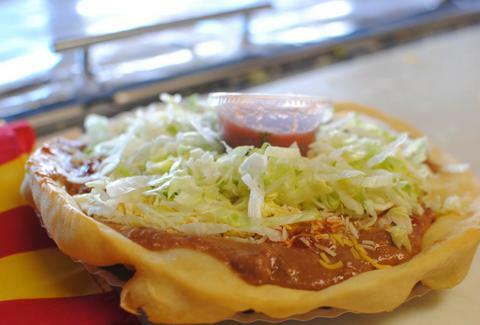 We promise, it’s not like any other fry bread you’ve experienced. 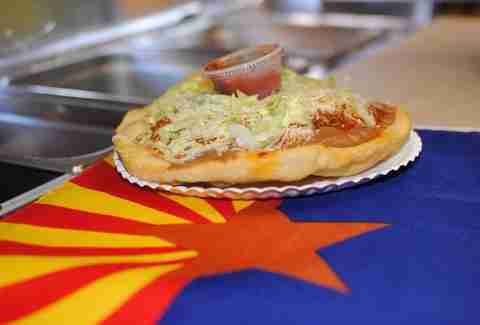 The Fry Bread House is kind of the go-to fry bread spot in Phoenix, loved for its traditional atmosphere and consistently great food. It was even named one of “America’s Classics” by the James Beard Foundation. And while it’s certainly not glamorous, if you're talking about the fry bread, it's a five-star joint. 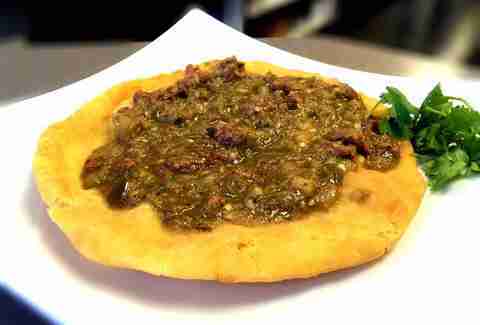 Emerson Fry Bread is not only one of the top fry bread restaurants in Phoenix, it’s one of the top food trucks in the country. 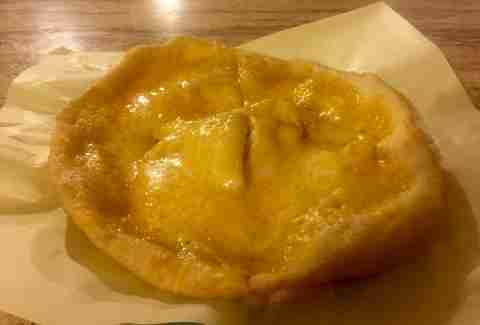 The food is handmade and fresh, and despite the single-dish concept, there’s actually a pretty decent variety to choose from -- including full meal fry bread dishes, plain fry bread, and naturally, dessert fry bread. White Eyes is everything in one place: a café, catering service, and a food truck all in one. 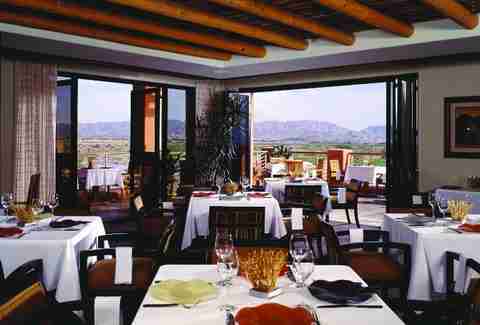 The menu, while short, covers all the fry bread classics from red & green chile, to cinnamon & honey dessert breads. The company’s roots date back to the ‘90s, and it’s been a Valley favorite ever since. AF specializes in high quality toppings, like their seasoned ground beef, green chile, and cactus, which they serve from a small, nondescript spot in Avondale. They also offer daily specials which allow you to get something different for only five bucks. 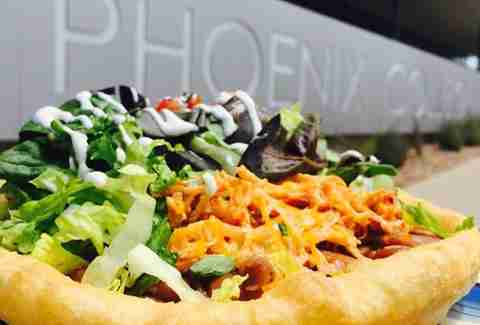 While Glendale might be a trip for some Phoenicians, it’s worth the drive for a true fry bread lover. It’s everything you could ask for: clean, quick, delicious, and an exceptional value for the large portions of the good stuff (plus the menu has plenty of Mexican options to back up the fry bread, too). Jamie Killin is a Phoenix writer who loves fry bread because it's not just a name, it's a recipe too. Follow her at @JamieKillin.